It will be mostly cloudy and partly rainy on Monday. It’s been overcast for the past few days. It’s cloudy now, but it may start to rain soon. The newspapers say it’s going to be cloudy today. 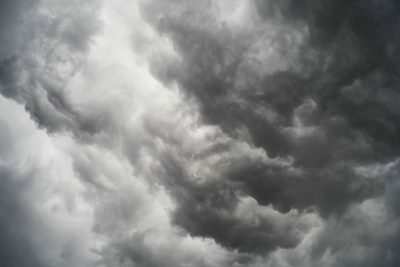 The sky is gloomy and gray ・・・ a typical rainy-season sky. The top of Mt. Fuji was covered with clouds. Those clouds are a bad sign.